There’s not doubt about it… spring can be an overwhelming time for gardeners! So, to make things easier, I’ve put together a comprehensive spring garden clean up checklist for you. 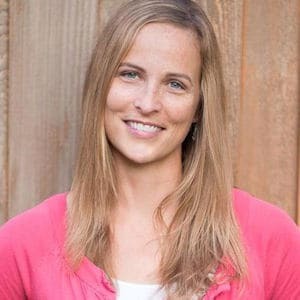 Plus I’ll tell you when and how to spring clean your garden, give you tons garden cleaning tips, and I’ll even share a few of my favorite tools that will help you get the job done. This is a sponsored conversation written by me on behalf of Fiskars. I was also provided with the tools mentioned in this post at no charge. All opinions and text are my own. 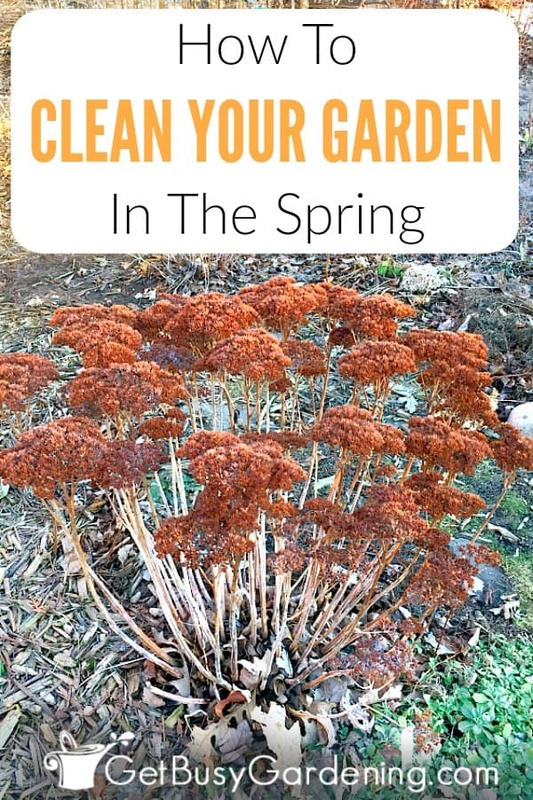 Why Clean Up Your Garden In Spring? Dead plants, stems and leaves littering your garden not only look bad, it can be unhealthy for your garden. Dead plant material can harbor disease and fungus that can end up causing major problems later on in the season. All that dead plant material also hides weeds that can quickly take over the garden if left unattended. So it’s always a good idea to do some garden spring cleaning to help keep your gardens disease and weed free, and looking their best. It’s best to wait to start your spring garden clean up, or other chores like raking the lawn until the ground has thawed and dried out a bit. If you start walking around in your gardens while the soil is still wet, it can cause soil compaction, which can make it very difficult for plants to grow later on (plus, you might lose a shoe in the muck… not that I would know anything about that). Just like any task that involves cleaning indoors, outdoor clean up can be a major chore – especially when you have lots of garden beds like I to. But don’t worry, you don’t have to get it all done in one day. To make it easy for you, below I’ve broken down spring clean up into smaller tasks that you can do throughout the spring. Take your time and work through the checklists at your own pace. Prune shrubs – Early spring is a great time for pruning. Spring pruning triggers new growth, and helps to prevent disease issues… but don’t prune spring blooming shrubs just yet. Wait to prune those until after they’re done blooming. If you’re unsure what to prune when, just wait to prune your shrubs until after they’re done blooming. Learn more about how to prune plants in the spring. 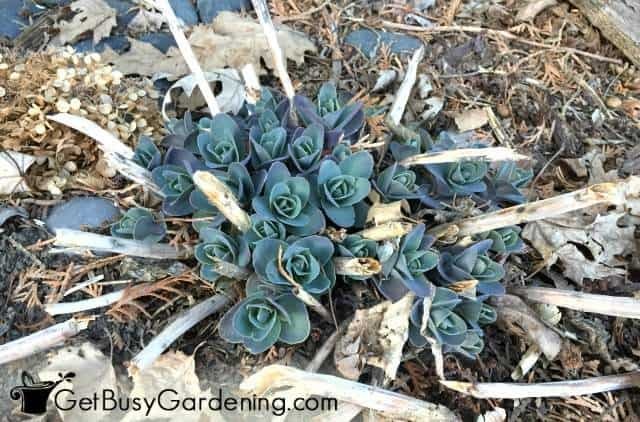 Remove winter mulch and other protection – Once the temperature starts to warm up in the spring, you can remove any winter mulch you may have added over your sensitive plants last fall. You should also remove burlap wraps, wind screens, rose cones or any other types of winter protection you added to your gardens last fall. 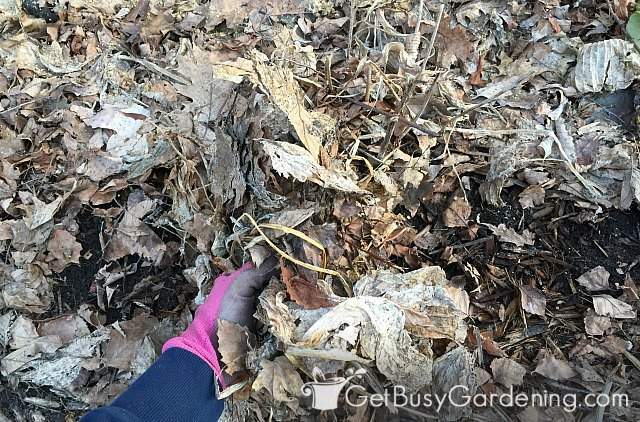 Brush back thick leaves – A common spring garden clean up question I get is “should I rake leaves off flower beds?”. Don’t worry, you don’t need to remove all of the leaves from your garden beds. Leaves are actually really good for your garden. Leaves act as a layer of mulch to help keep the weeds down, and also feed the soil as they break down. 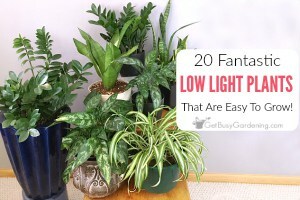 Just be sure to brush back any thick layers of leaves that are sitting on top of your plants. If you want to add mulch to your garden, you can just lay it right over top of the leaves. Pull dead annuals – Annual flowers, like petunias, begonias, marigolds, geraniums and snap dragons only live for one year in harsh climates, and won’t grow back after winter. 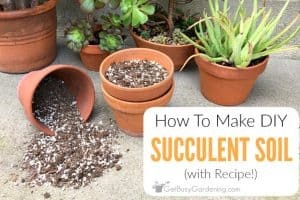 So you should pull them out of the ground, roots and all, and toss them into the compost bin. Learn how to tell the difference between annuals and perennials. 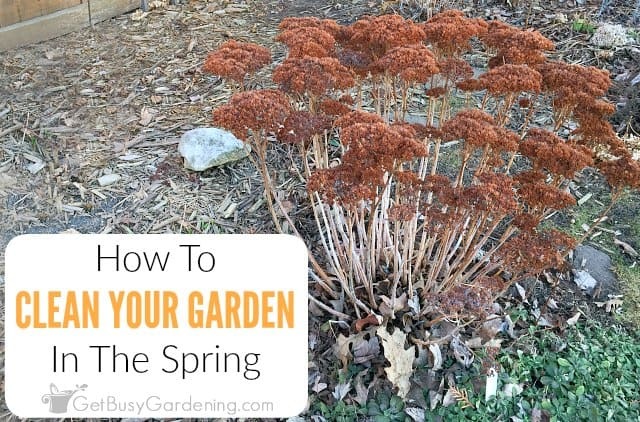 Remove dead growth from perennials – Prune or pull the dead leaves from perennials like hostas, day lilies, ornamental grasses, coneflowers and sedums. 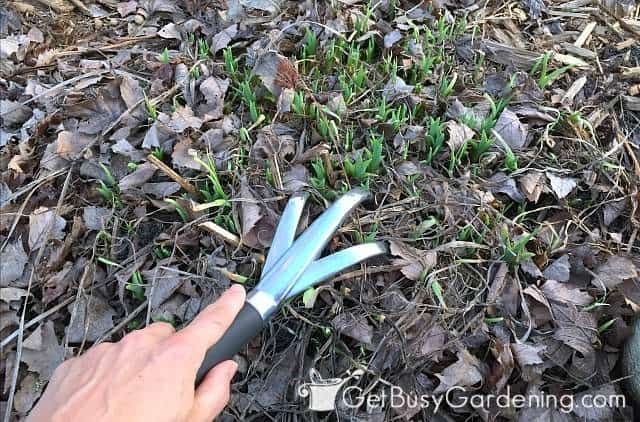 You don’t need to be too diligent about cleaning flower beds in spring, just be sure to remove the thick clumps of leaves so it won’t slow new growth. 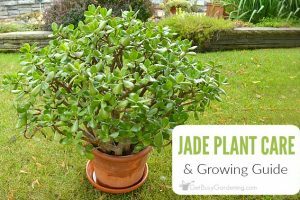 Take care when pruning around the base of plants during spring garden clean up so you don’t accidentally cut off new growth. Also, don’t try too hard to pull dead leaves and stems from the ground. If you force it too much, you could end up pulling out new roots or plant growth in the process. If there’s resistance when you try to pull, then prune it out instead. 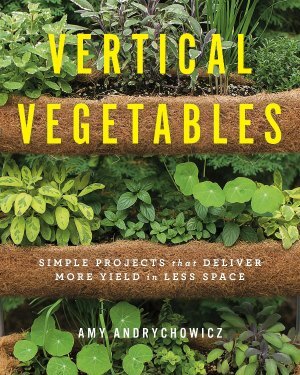 Clean up the vegetable garden – Pull out any dead vegetable plants that you didn’t get around to removing last fall. 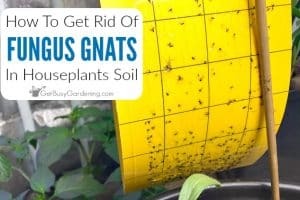 Try to remove as much of the plant debris and roots of the plants as you can as you clean up your vegetable garden beds. Also, detangle any dead vines from trellises and growing supports to make them look nicer as new vines take their time growing in. Pull weeds – Spring is a great time to get a jump on garden weeds, and pull them before they have time to become established. Weeds are easy to see in the spring before all the perennial plants start filling in. Plus, since the ground is wet in the spring, they’re easy to pull too. Once you’re done weeding, cover the soil with a thick layer of mulch to help keep new weeds from growing. Edge garden beds to remove grass – Grass has a way of creeping into your garden beds, and it easily goes unnoticed through the busy summer months. Spring is the perfect time to edge your garden beds to clean them up to remove the stray grass. Once you have the garden clean, the grass is easy to see, and it’s also easy to pull out, since the soil is wet. In addition to cleaning the garden, there are a few spring yard clean up tasks you should do too. 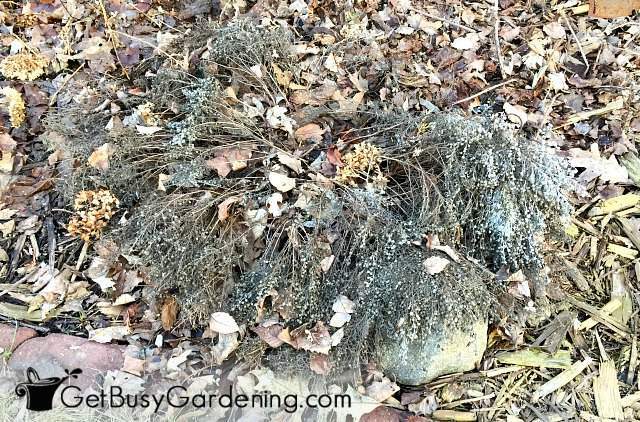 This is a list of other stuff to do around the yard, besides just specific garden clean up. Here’s the quick checklist, with the details below. Lawn clean up – Pick up branches, remove large piles of dead leaves, and clean up any other debris that’s accumulated on the grass. I know it’s tempting to get the lawn rake out as soon as the snow melts, but it’s best to wait to rake the grass until the ground is thawed and dried out a bit, and the grass starts to come out of dormancy. Pruning trees – If you need to trim some trees in your yard, early spring when the tree is still dormant is usually the best time. But before you start lopping off branches, do a little research on the specific types of trees you plan to prune. In general, it’s best to wait to prune fruit or flowering trees until after they are done blooming. Wash your patio furniture – Whether your patio furniture spent the winter outside or in storage, give it a quick rinse with the hose or wash it with soapy water to remove any caked on scum. You don’t want any unexpected garden guests sitting on dirty patio furniture. Sweep off the deck, patio and porch – It’s crazy how much debris can accumulate on decks, patios and porches over the winter. So get out the broom and clean up the piles of leaves and other debris in the corners and crevices. Heavy duty hand pruners – These aren’t just your ordinary hand pruners, the PowerGear2 hand pruners are designed to make the job of cutting through thick stems and branches effortless. 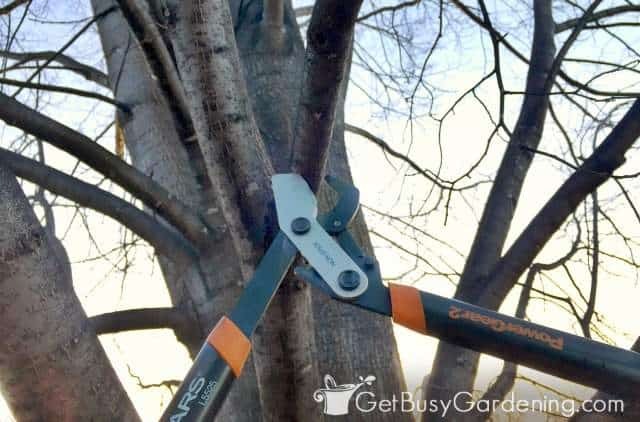 Loppers for thick branches and stems – I never knew I needed a pair of loppers until I used these. Fiskars PowerGear2 loppers make it super easy to cut through thick tree branches like butter. Hand rake – A hand rake is a handy tool to use for raking leaves and other debris out from around plants and stems. 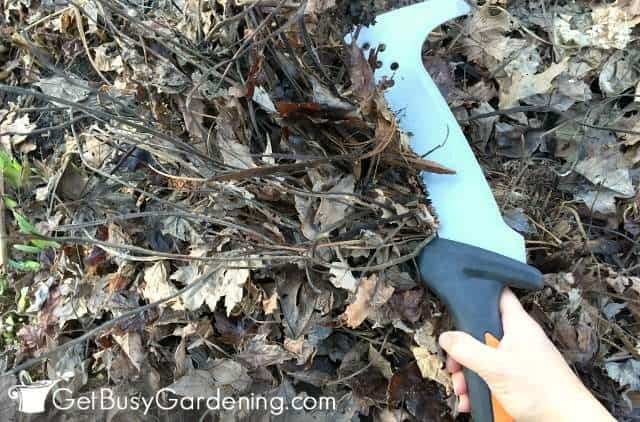 Using a hand rake rather than just your hands is especially nice if you’re not wearing gloves, or if you’re cleaning up around prickly plants like roses or barberry bushes. Billhook Saw – This bad boy is another one of the tools you didn’t know you needed until you have one – then you can’t live without it. A billhooks saw is great for making quick work of cutting down thick perennials like ornamental grasses, day lilies and liatris. 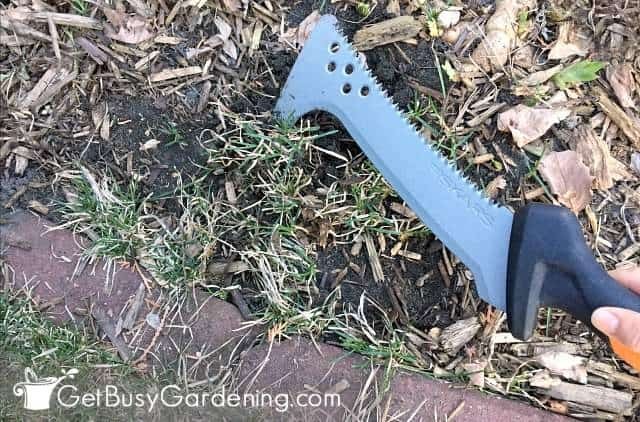 When you’re done hacking down perennials, you can turn it over and use the hooked end to dig into the soil and easily uproot weeds and grass. It can be a bit overwhelming, but taking the time to do your spring garden clean up will make summer garden maintenance much easier, and allow you to enjoy your gardens even more. A clean garden is a healthy (and pretty) garden. And, when you use the right tools to get the job done, it makes life even easier. Share you spring garden clean up tips in the comments section below. Is there anything I can do if I say over pruned summer shrubs and there are no shoots.does this mean I killed them? It depends on what shrubs you’re talking about, where you live, and also when you pruned them (sorry for the non-answer). I would give it more time to see if they recover before you give up.